Part of the Greenworks 40V cordless range of garden tools, the G40TL offers the gardener all the power and control of a mini cultivator, with the convenience and ease-of use afforded by rechargeable Lithium-ion battery technology. 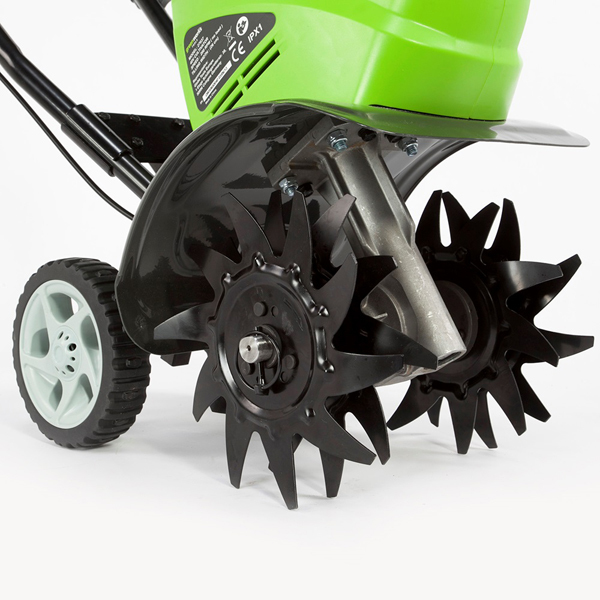 With no need to worry about fuel, power sockets or extension leads, the G40TL is a lightweight and highly mobile machine which can be deployed anywhere in your garden without the noise, emissions or maintenance associated with petrol alternatives. And once you are finished, all that is needed is for the battery to be recharged ready for next time. Please note this model is not supplied with a battery or charger. 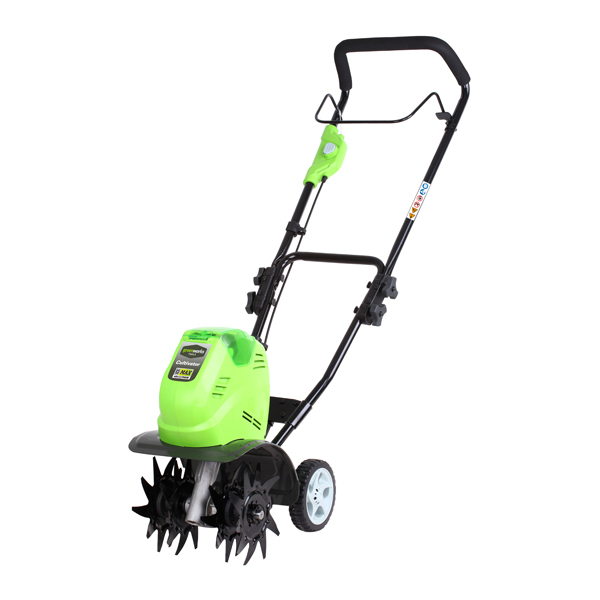 The G40TL uses the Greenworks 40V Lithium-ion battery system for optimum performance, and is compatible with batteries and chargers with other tools from this range. Alternatively, batteries and chargers are available separately.